It’s no secret that Viola Davis brings so many different facets to her role as Annalise Keating on the show How To Get Away With Murder. Each week, we see her suit up like a superhero and walk into a classroom or courtroom with both style and confidence-even in moments when she is dealing with personal matters that would often break your average individual. Since the beginning of the show, the most salient undertone as to what the writers and creators of HTGAWM have said about Annalise relates to the struggles that many Black women have. Each week, Annalise’s character not only speaks to the typical struggles that Black women face in the professional world, but the many ways in which Black men and society fail Black women. From storylines that address the lack of attention given to the mental health of Black women to the pressures that they face day in and day out in the office, HTGAWM has always been a good call to action for Black men (and people) to be better to and for Black women. Throughout the trajectory of the show, we have seen Annalise go toe-to-toe with systematic oppression, specifically with the men that she has loved. In season one, we saw her deal with the wounds of all forms spousal abuse, which led her to find solace in the arms of other people, specifically her colleague Nate Lahey (Billy Brown). The relationship that Annalise developed with Nate reflected one that many Black women have-the woman being seen as a partner in times in need, only to be gaslighted and treated as “crazy” or “insane” in situations when they opt to validate their pain. For Annalise, this often happened when she actively named the mistreatment and injustice she faced from her father, her ex-husband and the ways that Nate sometimes resembled the two. Beyond the struggles posited in personal relationships, Annalise has always been expected to be present for all the students she teaches while overseeing the four young students who shadow her and her law firm. Let’s not forget that each of the students she works with have their own levels of trouble they bring, with many of them looking to Annalise as a mother figure-an often expected role for many Black women. 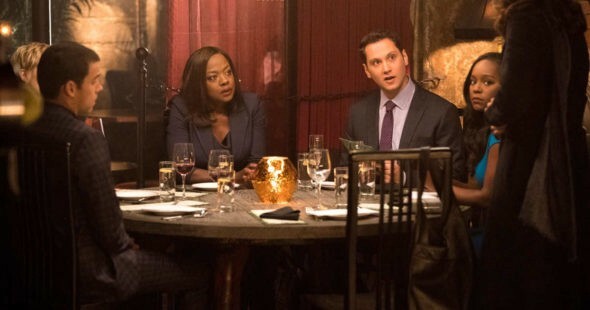 This became even more present in the storyline between seasons two-four where we seen Annalise go out of her way to protect Wes (Alfred Enoch), but in the first moment he had the opportunity to give Annalise away to the authorities not only did he take it, he encouraged others to follow in the same manner. 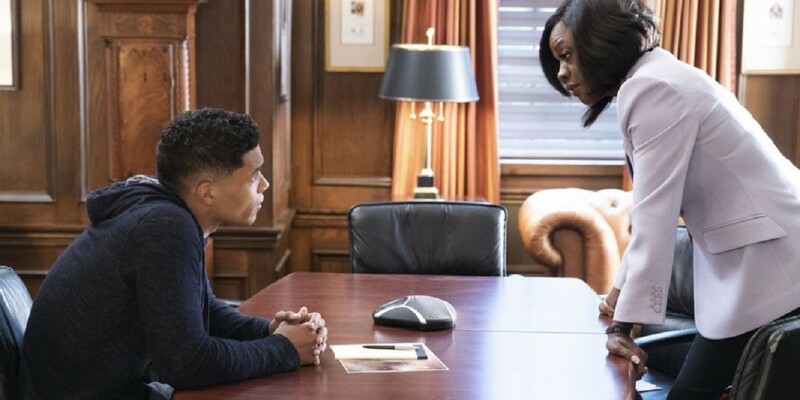 We even see this happening now in season five, where we see Gabriel (Rome Flynn) solicit Annalise’s help, even with him knowing that Annalise isn’t in the best mental state to provide the care that his case needs. Something to be said about this is how hard Black women often fight to save us and how rarely the world gives the same energy back. Though some consider How to Get Away With Murder to just be a television show, it does in fact offers us a better understanding what we can do to be better advocates for Black women. 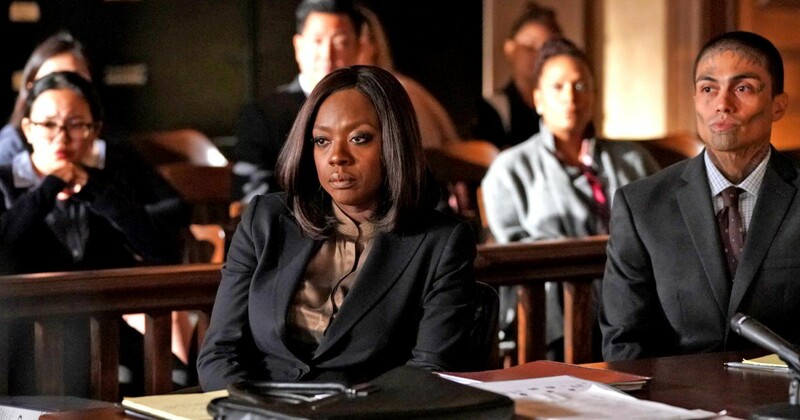 While much of season five has focused on the topic of Annalise reclaiming her time and worth, it has also sparked a conversation around respect and the ways that we feed into misogynoir and discount the livelihood of Black women . It is important for Black men specifically to know and understand the ways that they contribute to the marginalization and silencing of Black women, specifically when Black women attain positions of power. Being mindful of when and where sexism shows up or how privilege is being used to further marginalize women is a big when thinking about protecting our the Annalise Keatings in our lives. Beyond that, it is simply reminding ourselves that Black women and their existence shouldn’t be viewed as a means to an end and that we need to spend more time centering the golden rule in how we treat them. It’s understanding the idea that though you may not like every Black woman you encounter, you must treat them the way you’d want to be treated-knowing that Black women are often the most disrespected people in society. This requires also checking in to how we feed into or keep the cycle of toxic masculinity alive in the spaces we share with Black women. We must become more aware of the moments we don’t recognize how we are doing harm than good. This also means checking our friends and other family members who might exhibit the same behavior and calling them to task around unlearning systems of racism, sexism and patriarchy. Other vital things that Black men can learn from this show is how important it is to match the effort that Black women are giving to keep us safe, reminding ourselves that it is not Black womens sole purpose spend their lives fighting to protect us. We must stop counting on Black women who appear strong to do all of the heavy lift and charge ourselves to work through our own emotional labor. A reminder: it is not always Black women’s job to save us or this world. We must continue to not only give agency to the strong Black women in our lives, while remembering that loving them and working to protect them doesn’t have to be mutually exclusive with romance. We can love Black women by trusting them, and doing all things good to and for Black women in the same ways they continue to love, protect and provide for us.